Cloud-based Configure-Price-Quote (CPQ) solutions were initially developed to manage the first part of the sales lifecycle—that is, configuring a customized product package and generating a price quote for the package. Salesforce customers have found great success using standard CPQ to supercharge their digital transformations, as we discussed in our previous blog post. However, Salesforce’s mid-tier CPQ offering—which is the most popular—actually leaves out a considerable portion of the sales lifecycle. When customers select the standard CPQ offering, they aren’t able to use Salesforce to bill the customer, nor to collect and recognize revenue on the resulting invoice. That’s why Salesforce now offers a higher tier called CPQ+ with Billing that truly manages the full sales lifecycle, from quote to cash. 1. Bills can be generated reliably and without errors: With a traditional, siloed ERP order management system, sales representatives are not held accountable to generate accurate quotes. If the quote they issue is flawed or missing vital information, the finance team ends up working on the backend to retroactively rectify the deficiencies, and the customer service team ends up dealing one on one with frustrated customers to address ordering delays and bill discrepancies. When you integrate billing into your Salesforce CPQ solution, your sales team is automatically guided through the process of preparing quotes and generating orders; rules and logic that you set up ensure your sales team cannot forget to fill in critical data or make avoidable mistakes. 2. Subscription- and usage-based products become simple to bill: Traditional ERPs are built to manage orders and revenue from single transactions, not the revenue associated with usage- and subscription-based products. But increasingly, customers are paying based on what they use and paying subscription pricing that intentionally changes over time, such as via price ramps. 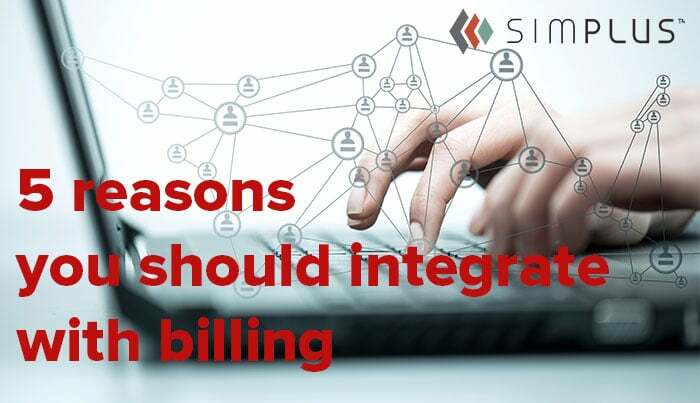 With subscription- and usage-based billing, organizations must accommodate a whole host of special circumstances: renewals, upgrades, prorations, add-ons, trial periods, one-time setup fees, and so forth. Salesforce Billing is expressly designed to manage all of these complex bill requirements. This powerful system even takes care of automatically calculating any required sales and use taxes with additional software from a partner like Avalara. 3. You can offer flexible billing arrangements to every customer: Often, it can feel like every customer presents a billing exception. Some want to be billed at specified intervals and on certain dates; others wish to make installment payments. Individual bill notes may need to be attached to an account. And for customers that don’t pay on time, late fees may need to be assessed. Salesforce Billing offers businesses maximum options for how they bill customers and manage the billing process. Indeed, Salesforce offers dozens of payment processing apps through the AppExchange app store that can add multiple types of billing options to your payment processor. This gives you unprecedented ability to meet the needs and preferences of your customers with flexible bill arrangements. 4. Your business intelligence will become even more accurate and insightful: Salesforce’s standard CPQ offering harnesses the power of artificial intelligence to generate key business insights into all of your configuration and quoting processes. With Salesforce Billing, your business intelligence becomes turbo-charged. Salesforce Billing automatically feeds your billing data to your Salesforce artificial intelligence engine, enabling you to arrive at even more precise figures for monthly recurring revenue, annual contract value, and other financial indicators of performance. Salesforce Billing also will help improve the precision of your cash-flow forecasts, which, in turn, will help you improve budgeting and planning across the organization. 5. You’ll strengthen your relationships with customers: Traditional ERP systems were built to manage ordering and billing, not customer relationships. As a result, they don’t make it easy for non-finance people to review customer bill records and glean insights from them. Salesforce Billing is part of the broader Salesforce ecosystem, meaning customers’ billing records are automatically linked to their Salesforce profiles. These profiles are readily accessible by sales and customer service teams, providing the entire organization a comprehensive, 360-degree customer view. Meanwhile, Salesforce is continuously mining all of this data to generate actionable business insights that help you build stronger relationships with customers. Finally, through Salesforce, you also can design a self-service portal that allows customers to resolve their own bill-related issues. Businesses need to digitally transform their billing processes, perhaps more than they realize. A 2017 study found that 47% of businesses admit to being routinely late in paying their suppliers, with only 5% of companies acknowledging they always pay their suppliers on time. When you’re ready to leap ahead of your competition and upgrade to Salesforce Billing, you’ll find that you’re able to generate bills reliably and without errors, streamline and simplify your subscription- and usage-based billing processes, and offer flexible bill arrangements to every customer. You’ll also be able to use Salesforce CPQ+ with Billing to improve the accuracy and insightfulness of your business intelligence, and ultimately help build stronger, lasting relationships with your customers. In the next blog post in our digital transformation blog series, we’ll look at the critical role that implementing partners play in helping you achieve digital transformation with Salesforce Quote-to-Cash, and precisely how to take advantage of Simplus’s expertise and experience to optimize your success journey. Sean Ralph, Manager of our Billing Practice at Simplus, has over 20 years’ combined experience in business solution consulting and delivery and hands-on experience as the Corporate Controller in a fast-growing SaaS company. 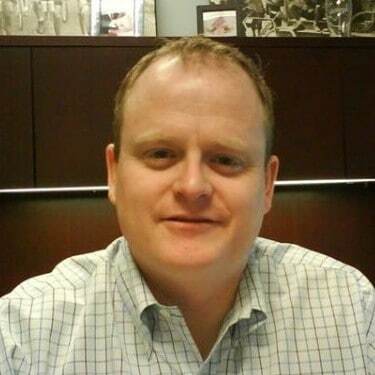 Sean has been a successful leader of numerous project teams over his career. Leveraging his work experience from E&Y, Deloitte, and Infor, he is an experienced consultant and project leader with a track record of delivering successful projects. Sean brings his SaaS and Corporate Controller experience to Simplus projects, adding a unique perspective and depth of knowledge around implementing quote-to-cash and billing solutions for our customers.